Foreign Relations of the United States. Foreign Relations of the United States. Status on Tibetan Operations. On behalf of Living Tibetan Spirits, I can review the status on Tibetan Operations because of my lifetime affiliation with the military organization called Special Frontier Force. In my review of foreign relations of the United States, I conclude making amendments to the US policy which essentially aims to contain the threat of the spread of Communism to mainland China. 1. In the present times of ‘The Information Era’, there is no need for The Cold War Era of secret diplomacy and covert operations. Information is the most important tool to decide the outcome of the battle between Democracy and Communism. 2. The United States must seek Direct Dialogue with Tibet and Tibetan Institutions of Government and, 3. The United States must recognize Tibet as the third largest nation of Asia. This country because of its size and location is vital to the US interests to maintain The Balance of Power. 1. Summary—The CIA Tibetan program, parts of which were initiated in 1956 with the cognizance of the Committee, is based on U.S. Government commitments made to the Dalai Lama in 1951 and 1956. The program consists of political action, propaganda, paramilitary and intelligence operations, appropriately coordinated with and supported by [less than 1 line of source text not declassified]. This program was last reviewed and endorsed by the Committee on 20 February 1964. Current activities have been coordinated with and have the approval of [1 line of source text not declassified], Mr. William Bundy, Assistant Secretary of State for East Asian and Pacific Affairs, and Mr. Lucius Battle, Assistant Secretary of State for Near East and South Asian Affairs. 2. Program Objectives—In the political action and propaganda field, Tibetan program objectives are aimed toward lessening the influence and capabilities of the Chinese regime through support, among Tibetans and among foreign nations, of the concept of an autonomous Tibet under the leadership of the Dalai Lama; toward the creation of a capability for resistance against possible political developments inside Tibet; and the containment of Chinese Communist expansion—in pursuance of U.S. policy objectives stated initially in NSC 5913/1.2 [6 lines of source text not declassified] 3. Appraisal of Current Programs—The cultural revolution in China expanded into Tibet bringing with it tremendous disturbances including the disruption of internal transportation, communication, travel and, to a significant extent, peace and order. Unfortunately, there are no apparent signs that the Tibetan people are capitalizing upon this internal chaos to seek further autonomy. Chinese security has shown no signs of deterioration [Page 740]and their control over Tibet, both political and military remains as pervasive as ever. Tibetan leadership has been purged, leaving the Chinese in direct control of the local administration, and a large number of underground assets have been uncovered and neutralized. The Tibetan program has a potential for operational success based on a reservoir of trained agent material, the location in a safe-haven of the Dalai Lama together with the nucleus of new young leaders, widespread sympathy for the Tibetan cause, indications of a more positive Indian attitude toward the political aspirations of the Tibetan government, and evidence of considerable disarray among the Chinese stationed in Tibet. a. At present, there are no radio teams remaining inside Tibet. Radio teams continue to function [less than 1 line of source text not declassified] although much of their information comes from the debriefing of traders and refugees. Singleton resident agent operations in Tibet, regarded as being the long-range replacement of the black radio teams, have not progressed as planned due to continued tightening of Chinese security in the border areas. Intelligence reporting from all sources deals primarily with military, political and construction activities along the Tibetan border. b. The Tibetan paramilitary unit, a remnant of the 1959 resistance force, is dispersed in 15 camps [less than 1 line of source text not declassified]. The Tibetan leadership views the force as the paramilitary arm of its “government-in-exile” [2 lines of source text not declassified]. Because of the diplomatic sensitivity occasioned by the presence of the Tibetan force [less than 1 line of source text not declassified], it has been enjoined from offensive action which might invite Chinese [less than 1 line of source text not declassified] retaliation. Joint efforts to disperse the force to other uninhabited areas [less than 1 line of source text not declassified] have not been successful because of Chinese [less than 1 line of source text not declassified] reaction or of difficulties in resupply. c. [1 line of source text not declassified] responsible for radio contact with and operational direction of the radio teams, the paramilitary resistance force, and the support mechanism [less than 1 line of source text not declassified] continue to serve their intended purpose with a minimum of problems. d. Bi-lateral CIA-Tibetan intelligence collection operations into Tibet, [less than 1 line of source text not declassified] have increased significantly, both in number and in value during the past few years. e. Activities designed to develop a dynamic political program [less than 1 line of source text not declassified] to weld the refugee communities into a cohesive whole under the leadership of the Dalai Lama and his brother, Gyalo Thondup, continue. These include: (1) The Geneva, New York and [less than 1 line of source text not declassified] “Tibet houses” continue in operation. The Geneva office serves as [Page 741]the coordinating point for the resettlement of some 500 Tibetan refugees in Switzerland and other European countries and maintains contact with the international agencies concerned with Tibetan relief. Although time has dimmed some of the effectiveness of its pleas, the New York office continues to lobby among the U.N. delegations for legal and moral support for the Tibetan cause, guided in their efforts by a sitting former U.S. delegate to the U.N. who is also a well-known international lawyer. [2 lines of source text not declassified] (2) The covert training program conducted in the U.S. under which some 250 Tibetans were trained, ended in November 1964. (3) Twenty selected Tibetan junior officers studied at Cornell University, over a three year period. Due to the Katzenbach strictures, this program was concluded in July 1967; CIA is considering a continuation of the program, on a limited scale, [less than 1 line of source text not declassified]. (4) The Tibetan organizational party, the Cho Kha Sum, (i.e. 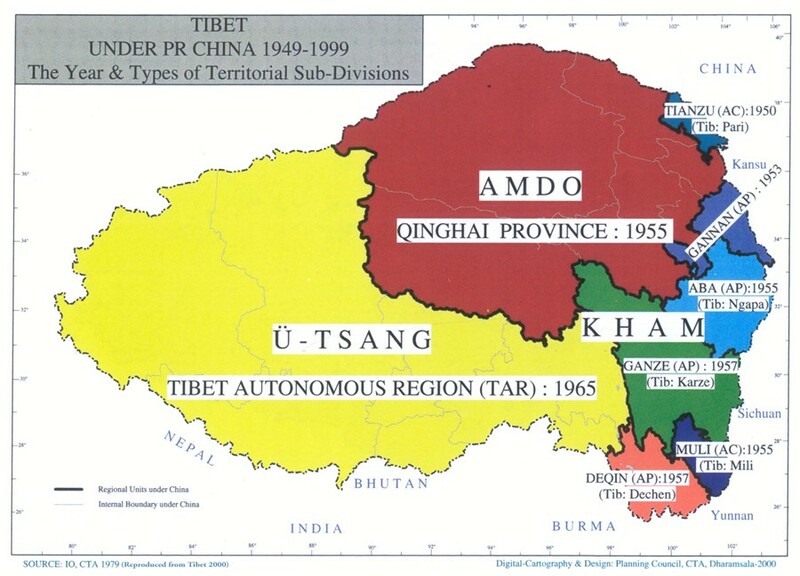 the Defense of Religion by the Three Regions: Kham, Amdo, and U-Tsang), which was established in India in April 1964 by Gyalo Thondup, now has an active press and publications arm. While the future potential of the party is still in question, the Tibetans are making an effort to mold it into an effective organization, aimed at halting a drift towards disunity among the refugees, developing a political consciousness and a political program with which to challenge the Communist efforts inside Tibet. a. September 1958—initial endorsement of CIA covert support to Tibetan resistance; b. 20 May 1959—initial approval of covert support to the Dalai Lama; c. 14 February 1961—endorsed continuation of the covert program; d. 13 December 1962—approved training of Tibetan guerrilla force; e. 20 February 1964—reviewed and endorsed continuation of covert program; f. 9 April 1965—approved relocation of Tibetan paramilitary force; g. 8 July and 25 November 1966—endorsed the covert paramilitary program [1 line of source text not declassified]. These landmark reviews were interspersed with status reports and briefings of the Committee, in one period at monthly intervals. The basic decisions listed above in several instances were reviewed with Higher Authority. 5. Coordination— a. Department of State—Since the project’s inception, appropriate officials of the Department have approved various elements of the program. [Page 742]Department officers who have been briefed on aspects of this project include Elmer Falk and Clement J. Sobotka, Director and Deputy Director, respectively, of the Office of Refugee and Migration Affairs; Harald Jacobson, Director, Office of Asian Communist Affairs; William Gleysteen, Deputy Director, Office of U.N. Political Affairs; William Bundy, Assistant Secretary of State for East Asian and Pacific Affairs; and Lucius Battle, Assistant Secretary of State for Near East and South Asian Affairs. b. Ambassadors—The past and present Ambassadors to Nepal and India have approved the Tibetan program, [1 line of source text not declassified]. c. [2–1/2 lines of source text not declassified] 6. Projected and Planned Programs— a. On the political front during 1967, the Dalai Lama began what is hoped will be a long-range program of projecting himself and Tibetan affairs on an international basis. He is contemplating visits to Ceylon, Burma, and Cambodia, having visited Japan and Thailand in late 1967. Invitations have also been extended from several European countries having active Tibetan refugee programs or interests. b. Gyalo Thondup, acting for the Tibetan partnership in our liaison with the Indians, has proposed the establishment of a Tibetan Operations Center to represent Tibetan interests [less than 1 line of source text not declassified]. 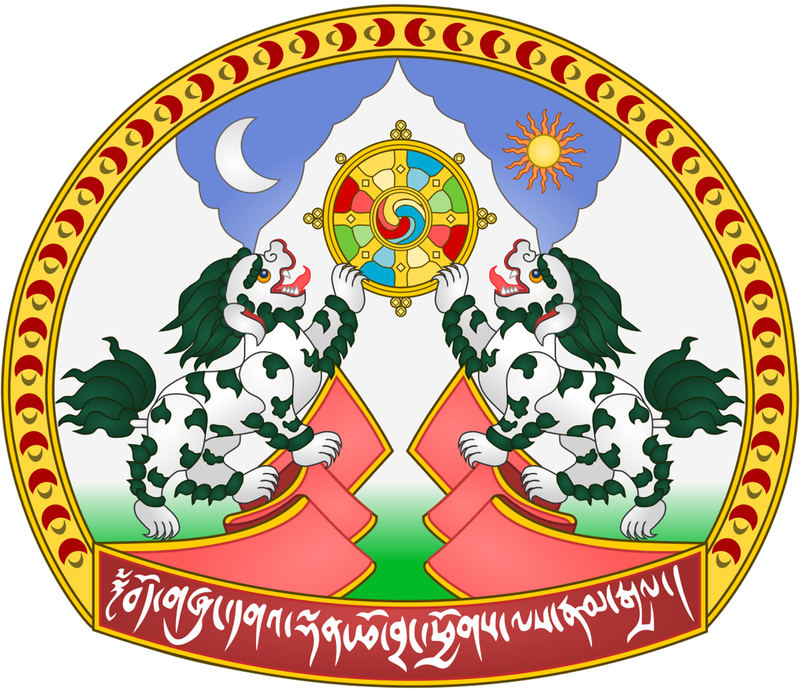 This Tibetan center would conceivably provide greater efficiency in the Tibetan handling of existing operations and in the relegation of operational tasks to Tibetan assets. [1 line of source text not declassified] c. Some elements of the basic covert program remain to be implemented. They include the deployment of landline wiretap teams to selected priority targets within Tibet; the activation of special refugee debriefing teams; a census of some 70,000 Tibetan refugees spread throughout India and its neighboring countries which may locate additional operational assets; and the resupply of arms and ammunition to the Mustang force. 7. Costs—At the time of the February 1964 review by the Committee, the projected annual cost for all Tibetan operations was $1,735,000. With the discontinuation of the training programs in the U.S., [1 line of source text not declassified] a reduction of $570,000 in this estimate for FY68 has been achieved. The remainder of $1,165,000 has been programmed in the CIA budget for FY68 for the activities described in this paper. Of this amount, $650,000 was approved by the 303 Committee on 25 November 1966 in its review of the [less than 1 line of source text not declassified]. Foreign Relations of the United States. The Status on Tibetan Operations.